If you carry your phone in your pocket are you dialing 10 digits to make a call? I didn’t think so. That’s what makes what’s on this voicemail so special. How many phone numbers do you have squirreled away in your brain nowadays? I know Helaine’s number and Stef’s–both still 203. I remember my sister and brother-in-law’s house phone. I usually call them on their cells nowadays. I can’t tell you my parents’ number or the number of any friend, save Rick Allison whose number spells out two words. I push a button. Most times I see their photo. Their voice magically appears. Most of us are like that now. If you carry your phone in your pocket are you dialing 10 digits to make a call? I didn’t think so. That’s what makes what’s on this voicemail so special. It’s a wrong number. Remember those? She was polite. Points for that. When was the last time you got a wrong number? I can’t remember. Years. Many years. Do people even leave voicemail much anymore? I still have lots of numbers stored in my head–unfortunately, some of the folks have moved and now have new numbers–which are recorded on my cell phone or on the computer. 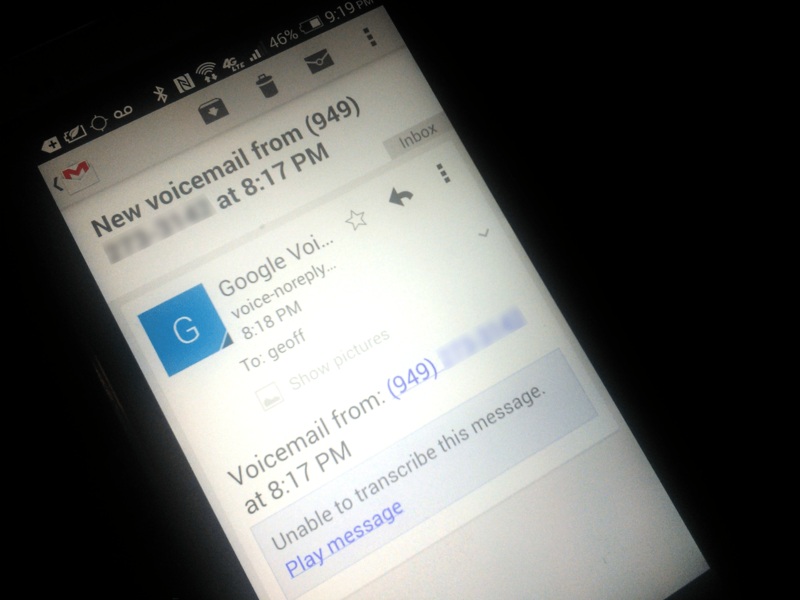 And yes—since I don’t text–I still use voice mail. But, at my end, I let everything that I don’t recognize go to the ans. machine—cuts out my telling every solicitor WHY I can’t afford to give to their cause! Never had caller ID til I went to ATT-UVerse voice—and I thank God for it, at least 10 times a day! Wrong #’s probably go to the same place, or if on my cell–and are on voice mail–I just hit erase! I have this one older man who calls my cell phone looking for Gertrude — or some name that’s similar — and then speaks in a strange dialect of German. He makes about three calls in a day to my cell leaving messages. And then I don’t hear from him for another six months. The first time it happened I called him back letting him know it was a wrong number. Now, I just wait six months for his calls! Weird. I give you credit for remembering the ones you do. I only know 3. But I had a wrong number yesterday and they did leave a msg for someone about their vet bill. I called them back to let them know they had a wrong number, I think they were surprised someone would bother. I used to have a Chinese lady call my home phone every night for a week 3am…then again a month later. This went on for over a year. She was getting my answering machine at the time…she would just yell into the phone. I finally disconnected my phone. I still get a lot of wrong numbers, and they’re usually from older ladies calling from landlines (I look up their numbers). I can remember a few landline numbers, including my late grandmother’s, but once a new number goes into my phone, it’s instantly forgotten.